This morning I was invited to hear Majority Leader Eric Cantor speak at a breakfast convened by the Association for a Better New York. Cantor talked about his connections to New York City (he went to grad school at Columbia and met his future wife on a blind date here) before briefly sketching three broad themes that he said would be at the heart of the Republican Party's legislative agenda this year: opposing tax increases, opposing regulations that would hinder America's ability to compete in the global marketplace, and supporting America's role as a global superpower/policeman for the world. No surprises there. 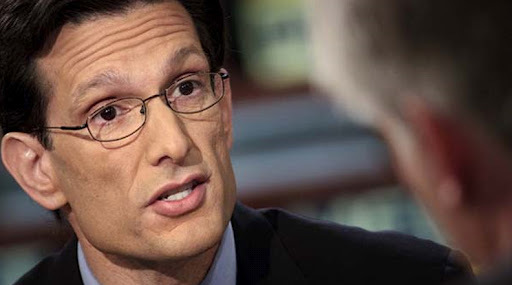 The only thing that I really found notable about Cantor's remarks were what he didn't say: the words "President Obama" and "Democratic Party" did not pass his lips once. I think this is a sign of election year politics and the heightened partisanship on Capitol Hill generally. It is also worth noting that public safety did not come up at all either in Cantor's speech or the question-and-answer period that followed -- another indication that crime has fallen off the political radar in recent years.